Receive a One Year Supply of Septic Tank Treatment Packets (a $40 value) when you mention this offer and have your septic tank cleaned at regular prices. 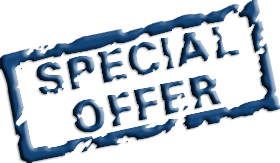 Receive a FREE pumping of your grease trap when you mention this offer. 2 Year Contract Required - Quarterly Service Minimum. Free Pumping will be done on 3rd service.